From arid deserts to frozen mountain ranges, troops from different armies are being deployed in an all-out effort to take over the world. This is no “worst case” scenario- this is RISK! Now the premier wartime strategy game of generals makes its debut on today's next-generation game consoles. Using the same hands-on military planning found in the original RISK board game, players now see battles come to life in vivid 3D environments, get advice from historic military leaders, and earn medals and special dice for strategic accomplishments. 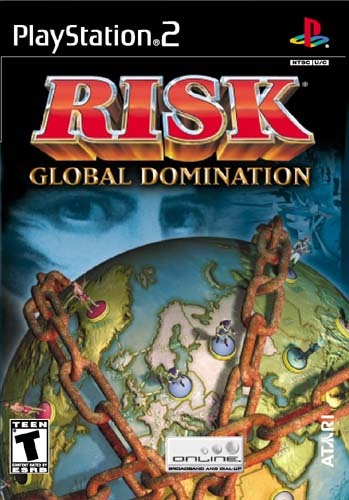 Next-generation game consoles deliver a truly unique way to play the RISK game and provide an ideal social experience for up to six players in a multiplayer mode. Built on a proven combination of strategy and luck, the RISK game delivers unmatched replayability, and a fun, competitive experience.